Began studying violin at the age of 7 under Yoshiko Honma and late Ryosaku Kubota. On graduating from Toho Gakuen College in 1988, he joined Gunma Symphony Orchestra and was assigned as Assistant Chief Violinist. His activity is based mainly in Gunma Prefecture for concertos with the orchestra as well as solo performance and chamber music. In 1994, he participated in Prague Spring and Wiener Festwochen music festivals, and was invited to Tokyo Symphony Orchestra as Chief Violinist where he enjoyed the honor of performing the solo with the orchestra in the royal concert in Toka-Gakudo music hall in the Imperial Palace, and he was promoted to Assistant Concert Master in 1998. Other recent activities include FM broadcast recital program of NHK in 2002, organizing Silius String Quartet in 2004, concert series in IMA hall in Tokyo Symphony SQ, and recordings in movie soundtracks and commercials as studio musician. Born in 1988. Graduated from Music Department of Tokyo University of the Arts in 2010 majoring violin instrument. Winner of Kyoto Mayor Award in Kyoto Art Festival “Gathering of Young Musicians Flying to the World”, and other contests such as National Music Students’ Competition, Japan Classic Music Competition, Yokohama International Music Competition, and Rumania International Music Competition. While being a student, she was active in performing in solo, ensemble, or orchestra, and joined in various recordings and live concert support with the strings she took the lead. 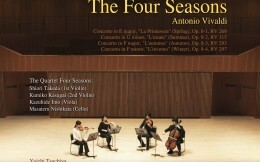 She took part in Tokyo Symphony Orchestra as violinist in 2012, and appears in high-res UNAMAS label releases as one of key members: “Four Seasons” in 2014 and “The Art of Fugue” in 2015.”Death and The Maiden”2016. Graduated from Attached High-school of Japan Women’s University and Music Department of Tokyo University of the Arts, and now in the second year in its graduate school. Began lessons of violin at the age of 3, and changed the instrument to viola at 18. 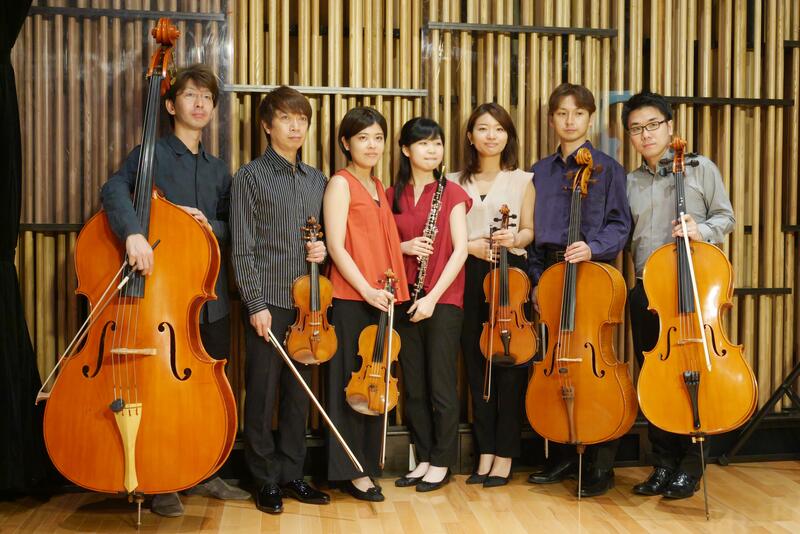 Award-winner in 11th Osaka International Music Competition. The First Prize winner in 13th Burckhardt International Music Competition. She joined Carl Flesch Akademie International in Germany in the summer of 2011 and achieved a diploma with scholarship on her graduation. 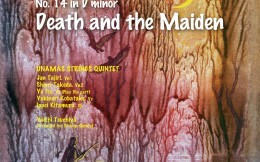 Studied violin under Yasuko Ohtani, viola under Kazunori Kawasaki and Kaoru Ohno, and chamber music under such professors as Kazunori Kawasaki, Katsuya Matsubara, Nobuko Yamazaki, Hajime Ohtomo, Ryoichi Fujimori and Hiroyasu Yamamoto. A member of TGS String Ensemble that consists of the graduated classmates of Tokyo University of the Arts, and now violist in Tokyo Symphony since April 2015. Born in Ibaragi in 1993 and began oboe lessons at the age of 9. Graduated from Tokyo University of the Arts at the head of her class and now in the master class in the graduate school while performing as primary oboist of Tokyo Symphony Orchestra. Unanimous First Prize winner and Audience Award as well at 11th Sony International Oboe Competition in Karuizawa. Many other awards such as Second Prize at 31st Japan Woodwind and Percussion Competition, Oboe Section, University’s Ataka Award and Acanthus Award. She had her debut recital in April 2016 in Tokyo Spring Music Festival and also performed Mozart, Richard Strauss and Martinu concertos with Tokyo Geidai University Philharmonic and Tokyo Symphony Orchestra. Studied under professors such as Maki Sakamoto, Keiko Narita, Hitoshi Wakui, Yoshiaki Obata and Satoki Aoyama. Born in Nara. After graduating from Tokyo University of the Arts and its graduate school with master degree, he was accepted by Indiana University in the States for further study. He studied cello under such professors as Fumiaki Kono, Tomoya Kikuchi, Go Tsutsumi, and Janos Starker. Upon returning from the States in 2005, he participated in the initialization of Hyogo Art and Culture Center Orchestra led by Maestro Yutaka Sado. Variety of concert activities of his expand performing as soloist with Kazuyoshi Akiyama, Tadaaki Odaka, Yutaka Sado, and joined sessions with Yasuko Ohtani String Quartet, Ryota Komatsu Tango Orchestra, Live Image, Taro Hakase’s Violin Summit. 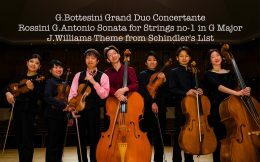 In January 2013, he collaborated with Shigeo Neriki, pianist to have joint recitals in Tokyo and Kyoto, which was well received winning Aoyama Music Award of the year. In 2015, He formed the unit “ShimizuNishiya” together with Yasuaki Shimizu, the head of violinists in Tokyo Symphony, and released the debut CD album “KODO” that covered only their original compositions by overdubbing just by themselves. He is now the head of cellists in Tokyo Symphony and part-time teacher in Tokyo University of the Arts while being active in composition, arrangement, and performance. Graduated from Tokyo University of the Arts with the master’s degree. Studied under Toshio Mase, Hiroyuki Kaneki, Masaharu Karita, Nobuko Yamasaki, and Ryoichi Fujimori. Participated in Ozawa International Chamber Music Academy. Performed as contracted cellist in Tokyo Philharmonic Orchestra, and now his activity widely ranges from solo and chamber music to recordings. Born in Saitama and graduate of Tokyo University of the Arts in 2002, then achieved the master’s degree in 2005. Being a university student, Kitamura joined in Beppu Argerich Festival. In 2005, he played the soloist in “Pentatonicophilia” composed by Julian Yu in the International Gaudeamus Music Week. 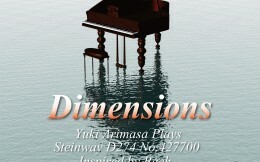 In 2006, he joined in Seiji Ozawa Music Class VII “Resurrection”. He studied contrabass under such professors as Yoshio Nagashima, Ganju Kuroki, Naofumi Nishida, Osamu Yamamoto, and Shigeru Ishikawa, and his activities range from orchestras to brass bands, studio sessions, and musicals. After working in Tokyo University of the Arts as lecturer, he continues to be a member of Tokyo Symphony Orchestra. Now studying in the master’s degree section of musicology in Tokyo University of the Arts. Born in Shibuya, Tokyo and began studying piano at 20 and then composition afterward. Graduated from the Composition Section of Tokyo University of the Arts in 2011. 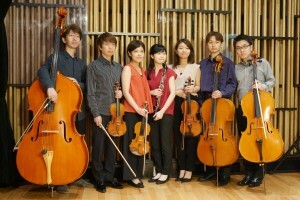 Studied composition under late Akira Kitamura, Yuzuru Kondoh, Hiroyuki Yamamoto, Masaki Teruya, and Junnosuke Yamamoto. Also learned sound design from Mick Sawaguchi, recording from Toru Kamekawa, and engineering from Masaaki Enatsu. 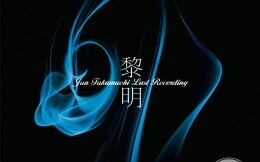 His production “Prelude 5.1” in 5.1ch represented Japan Student Section in 130th AES Convention London Recording Competition, Modern Multi-track Studio Recording. In Recording Critics of the 131st AES Convention New York, “Cori Spezzati Nova” (5.1ch) was highly praised by Elliot Scheiner who is producer and mixing engineer of the Eagles, Aerosmith, Steely Dan and other well-known artists. Morten Lindberg of 2L label commented “music I’ve never heard”. In 2012, he won the 5.1 Music Production Award of DTM magazine. In 2014, “The Universe for Surround”, a collection of surround compositions, was released under UNAMAS label.